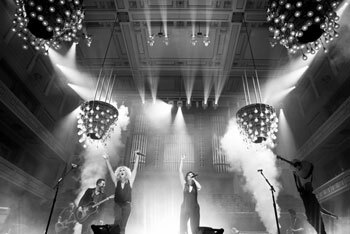 Little Big Town has announced plans for The Tornado Tour in 2013. The 25 city tour will also feature special guests Kacey Musgraves and David Nail in select cities. The tour kicks off Jan. 31, 2013 in Murray, KY.
CMT will have an exclusive pre-sale for The Tornado Tour. Visit CMT’s Facebook page for the exclusive presale code to get tickets. Additionally, the network exclusively premiered Little Big Town’s music video for new single “Tornado” earlier today (10/31) and will feature it every hour throughout the day. For a complete list of The Tornado Tour dates, click here.